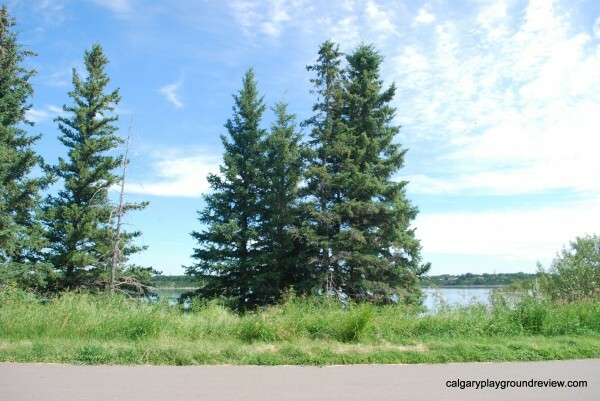 South Glenmore Park – 90 Ave. & 24 St. S.W. 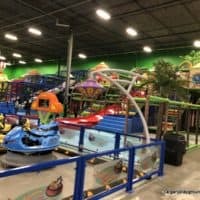 Parking: There is a large free parking lot at the entrance to the playground. 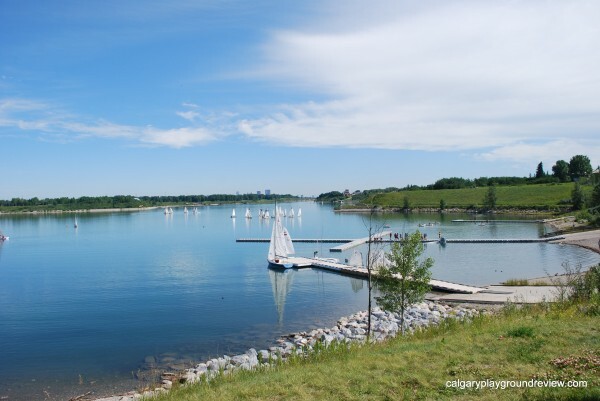 Summer Features: sailing school which also has boat rentals. 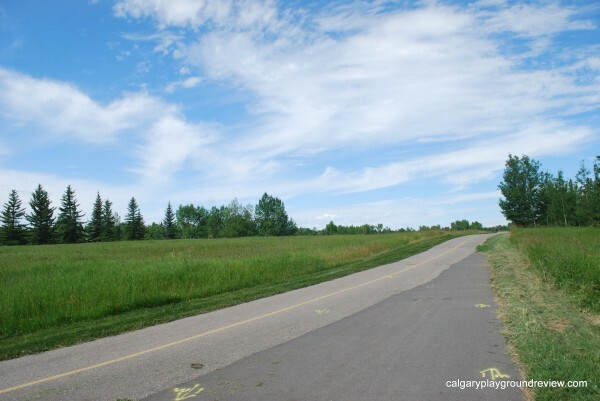 There are also walking, biking and hiking trails as well as tennis courts. Winter Features: Un-groomed cross-country skiing trails. 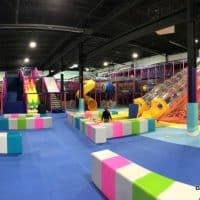 Playgrounds: . 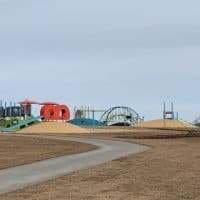 Click here for a review of the Variety Children’s Park itself. Amenities: seasonal washrooms and water fountains. 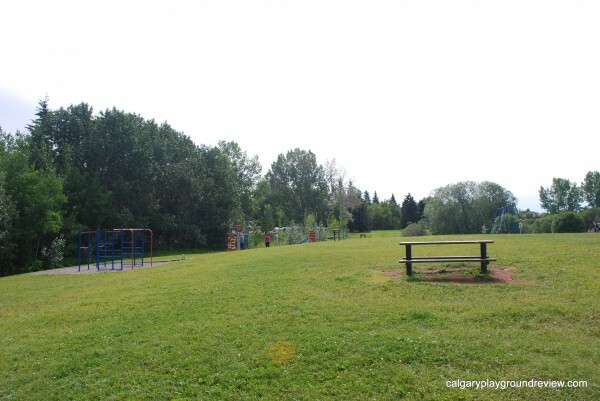 Seating: There are picnic tables and benches in and around the Variety Children Park. 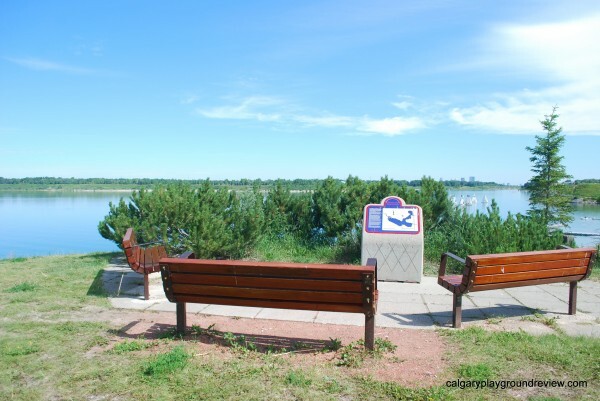 Benches can also be found along the pathway system. 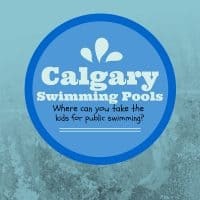 There is a covered picnic area between the parking lot and the Sailing school that can be bookedthrough the City of Calgary website. Overall: This would be a great pick for a family day at the park. 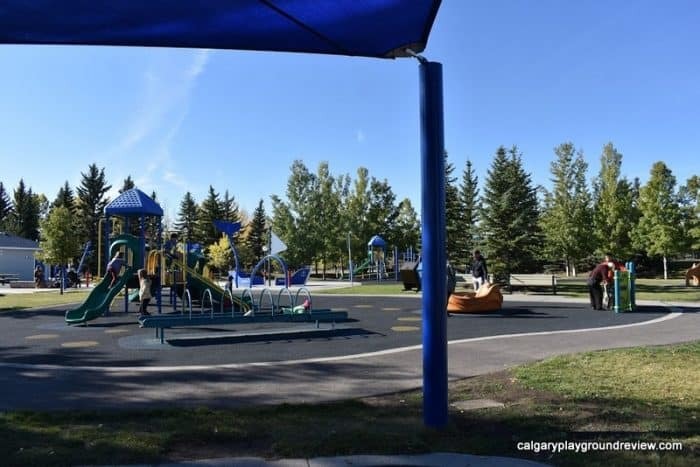 The highlight for the kids will probably be the Variety Children’s Park playground and spray park. 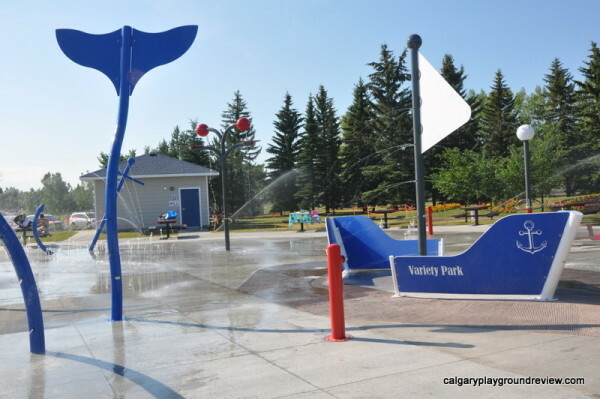 Update 2015: South Glenmore Park has a new nautical spray park. If that playground is feeling a bit crowded, there is a much smaller and more traditional playground on the opposite side of the parking lot. It’s not much, but it has swings, climbers and a slide. 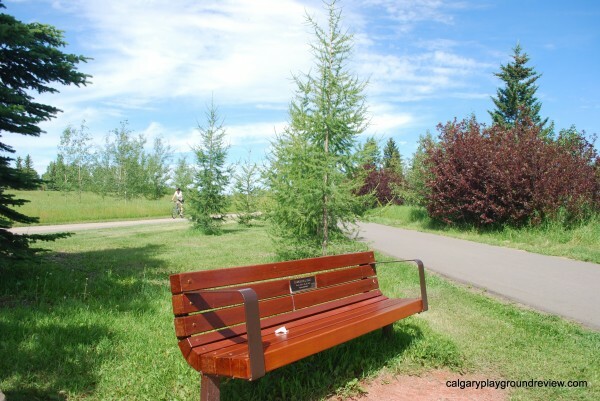 It also has a couple benches and picnic tables nearby making it a great spot for a quiet picnic and play. 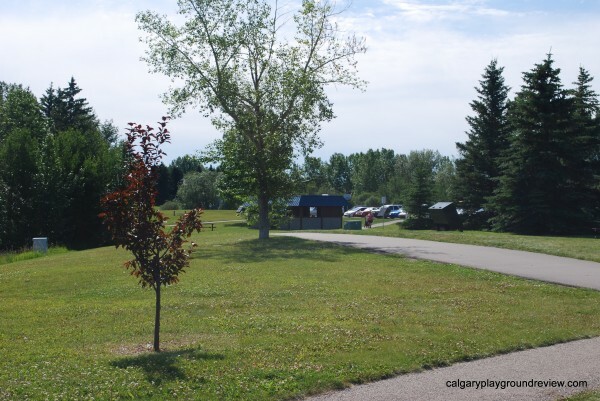 Closer to the water, (but without a good view of the water) is a covered picnic area that can be booked through the City of Calgary’s website. 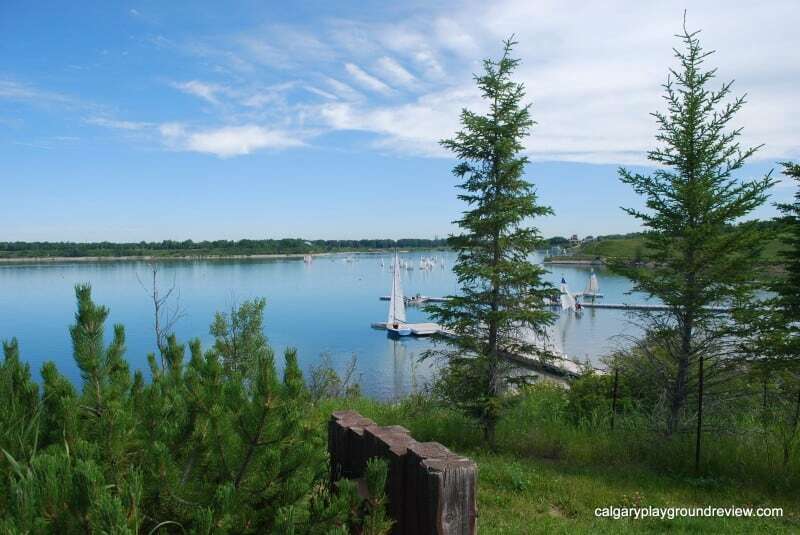 South Glenmore Park is home to the Glenmore Sailing School. 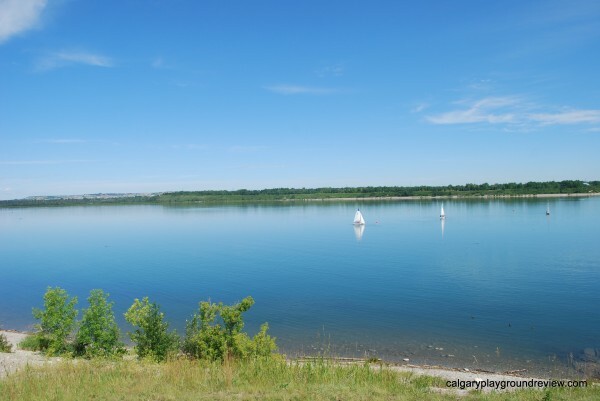 You can also rent sailboat and day cruisers through Glenmore Reservoir Services. There is a lookout spot nearby, but unfortunately the bushes at the front, obstruct the view quite effectively. Sitting to the west of the lookout provides a really good view and you can use the bushes for a bit of shade. 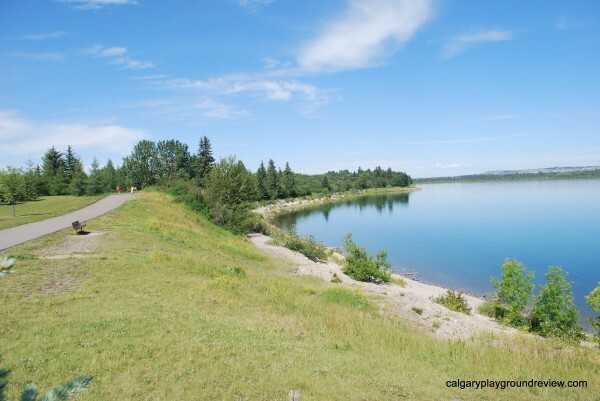 View looking North across the Glenmore Reservoir. There are pathways that run East and West along the reservoir as well as a path that runs right along the water. This pathway may be closed if the conditions are deemed unsafe. 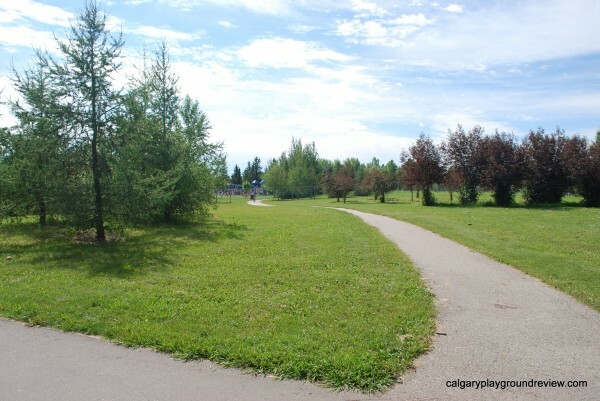 Pathway from the Children’s Variety Park. 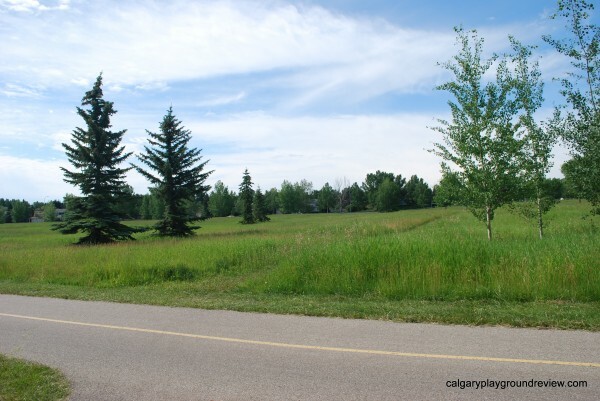 Bike path and view to the South – tall un-mowed grassy area. View to the West along the pathway. View to the North from the pathway. Seating area to the West of the sailing school.